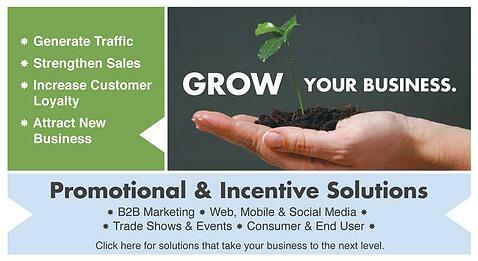 Marketing, print, and on line solutions that enhance your image, and create sales. Dataguide provides innovative programs with proven results that generate leads and attract new customers along with creative print and promotional products that help tell your story and keep your message in front of your target audience. To find out more about products that promote your brand, read on. To discover programs that create traffic and leads click the “Grow Your Business” button above. 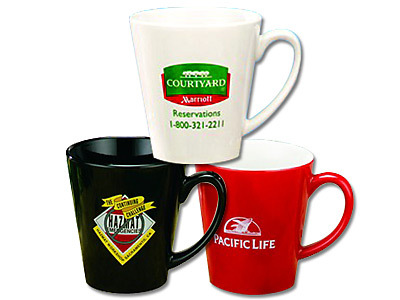 As a distributor, Dataguide provides a single source for all your printing and promotional items. Our relationships with trade manufacturers worldwide allow us to produce each product at the lowest cost, saving you money and more importantly time. 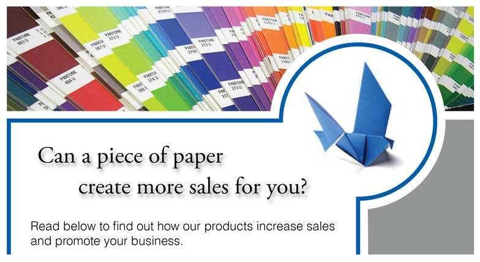 From High end brochure printing, to back office filing and forms. 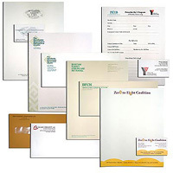 From corporate ID programs including business cards and custom stationary to presentation folders and document holders. From high end executive gifts to branded trade show promotional products, Dataguide provides all your printing and promotional items at the lowest possible cost. High impact specialty promotional products that generate repeat and referral business. From our unique homeowners records organizer to high end classification folders. 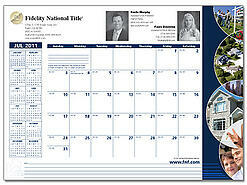 From custom day planners to multi color desk pad calendars that stay in front of your clients all year. Dataguide can help you create promotional items that stay in front of your clients and encourage them to return with more business and refer friends and associates. Our professional graphics and production staff can help you take a simple idea from the original concept to a professionally designed high quality printed promotional product such as promotional USB flash drives that create multiple impressions of your logo, enhance your brand and improve your company image. Dataguide offers an exclusive Point'n Click print management solution. 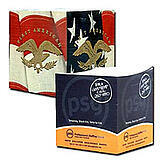 This system gives you complete access and control over all your printing and promotional items. From real time inventory of available products, to detailed ordering history. Know what you have in inventory, who is ordering what, the cost center each order applies to and control which orders go through with up to 3 levels of approval. Gain control and reduce costs with the click of your mouse. Our Point N Click Print Management solution saves you time and money. View, order, edit, and proof your printing, marketing and promotional items in minutes. Put an end to phone calls, faxes, and double checking someone else's work. Log in, choose the item you need, make the changes on line, view the proof, correct it if necessary and submit the order. Finish in minutes what used to take hours or even days. Learn more about our print management solution or about our specialty products by browsing through our product descriptions. If that doesn't satisfy your curiosity please read our case studies. Imagine having complete control over all your print and promotional products right at your desktop. For an organization with multiple offices keeping track of the numerous print and promotional supplies used in the field can be a daunting task and far more difficult than it should be. Keeping track of what the field offices are using is hard enough, ensuring that what they use meets corporate identity standards is nearly impossible without a powerful web based solution like Point N Click Print Management. Imagine how much simpler managing your print and promotional materials could be with the following features. Password controlled access so you decide who has access to which items. Ability to download order and usage history to a spreadsheet for budgeting and control purposes. An on line database for variable copy items such as business cards, note pads, or envelopes that are ordered on a per person or per office basis. The ability to make changes, view proofs of the changes, and place orders without having to contact the vendor and request a change. Immediate access to pricing for all items in your catalog. These are just some of the features available in our Point N Click Print Management solution that can save you time and money while making your like easier. Order your custom holiday cards today. Include your company logo & personalized greeting. Click here to begin the easy to order process. Click to order Realtor supplies and Real Estate Products that will help you succeed. 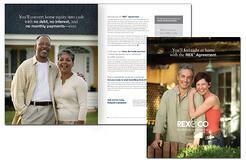 RE/MAX Agents can purchase directly from our website. 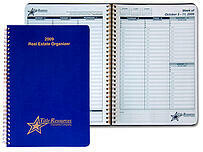 Remax document folders, presentation folders and pens. Click to view and to order our document folders designed for Keller Williams agents. Click here for a full line of sales and service department supplies.